Core book buyers--moms--are desperate to know what makes their sons tick and how to be a welcome influence in their lives. And unlike many other books about raising boys, this warm and trustworthy resource is from a mom's perspective. Through compelling true stories and solid principles, this book offers a blueprint for what sons need from their moms to become healthy, caring, confident young men. With specific advice for boys' different ages, moms will learn the balance between controlling and letting go, how to cultivate their son's unique masculinity, how to encourage a lasting relationship with God, and much more. 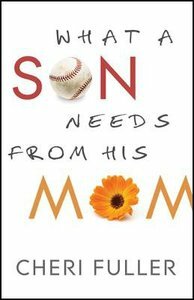 About "What a Son Needs From His Mom"